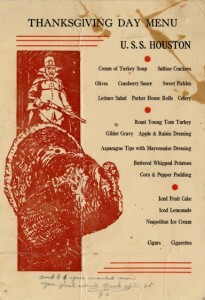 Happy Thanksgiving from Special Collections! This is just a quick note to remind everyone that the University of Houston Special Collections Reading Room is open today until our usual time of 5pm. However, in observance of the Thanksgiving holiday, we will be closed Thursday through the remainder of the weekend when we will reopen Monday, December 2nd, at our usual time of 9am. The University of Houston Special Collections wishes all of our best for you and yours during this Thanksgiving holiday season. Two weeks ago Annise Parker was re-elected to a third two-year term as Mayor of Houston marking a final endorsement from her fellow Houstonians. While her initial mayoral victory in 2009 may have focused on the firsts it represented for a major city like Houston, the 2013 election saw issues unrelated to the greater public good pushed to the sidelines of our discourse and debate. However, Parker’s re-election reminds us that there are other “firsts” as well that the City of Houston has embraced as part of its recent mayoral history. A glance at the stewards of the city dating back to the Allen Brothers and racing through the twentieth century reveals a great deal of how far we have come in such a short period of time. Mayor Lee Brown served as the first African-American mayor of Houston from 1998-2004, owing part of his own political success and legacy to another first. In 1982 Lee Brown was appointed as the first African-American police chief for the City of Houston by a recently elected Mayor Kathryn “Kathy” Whitmire–the first female mayor of Houston. 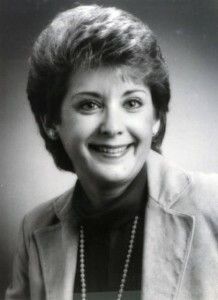 Kathy Whitmire graduated with a BBA and Masters in Accounting from the University of Houston and married Jim Whitmire, himself a business and accounting student. Following Jim Whitmire’s death in 1976, she devoted much of her energies to public service, initially as City Controller and then Mayor of Houston from 1982 to 1992. 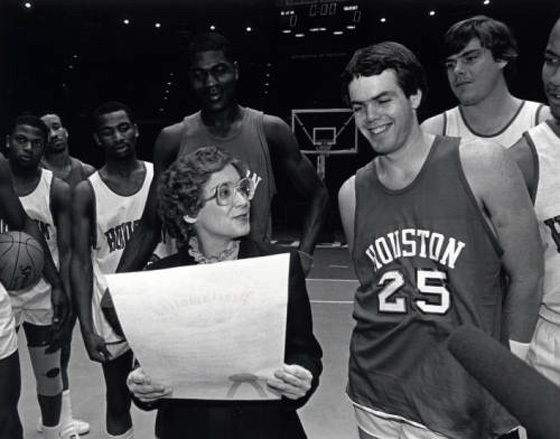 As the first female mayor of Houston, her 1982 election serves as a landmark for a groundswell of change that dramatically altered the landscape of the mayoral office in Houston. The University of Houston Libraries make available for study a number of materials of interest for those researching this recent mayoral history. 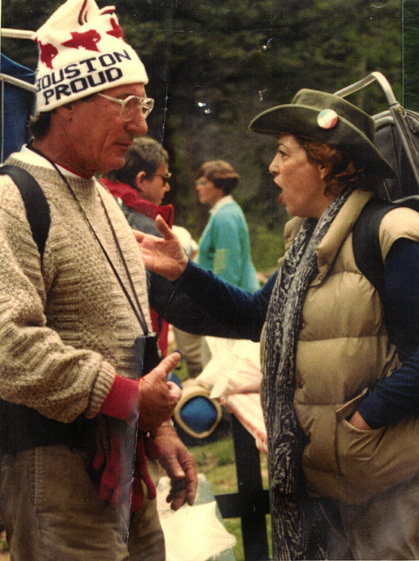 In addition to the Annise Parker Papers, the Kathryn J. Whitmire Papers contain documents from her husband Jim Whitmire’s work on the City Council as well as materials from Kathy Whitmire’s time as City Controller and Mayor of Houston. The University of Houston Women’s Studies Living Archives Recordings contain a 1996 interview with Kathy Whitmire on an array of topics. Finally, a reminder that the exhibition of the Carey C. Shuart Women’s Archives continues to showcase artifacts from both the Annise Parker and Kathy Whitmire Papers. The nature of “firsts” is that they are notable and noted. The hope being that, in time, they become less notable, and less noted, due to these diminishing old differences we have insisted on celebrating for so long. We invite you to explore some of the above online resources or visit Special Collections and celebrate not only our differences, but our similarities found in this newly shared history. The University Archives are always full of pleasant surprises and the Student Organization Records do not disappoint in this regard. 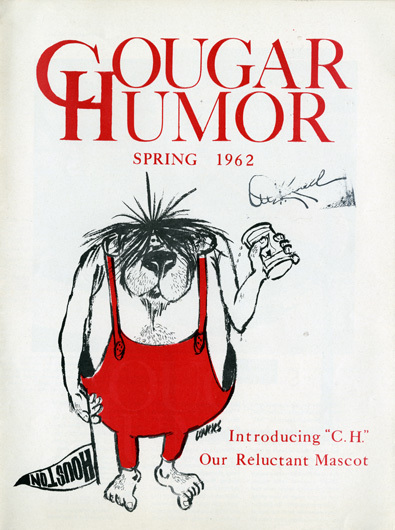 While the “official” history of the University of Houston might be told in part through the President’s Office Records or the UH Photographs Collection, the unique history of diversity on which the University of Houston has grown can be glimpsed through a study of the Student Organization Records. The word “diversity” gets thrown around quite a bit when discussing the University of Houston. The natural association for one to make is the impressive ethnic diversity found in the student body. However, as the Student Organization Records illustrate, that diversity has never been merely limited to the racial and ethnic composition of campus. 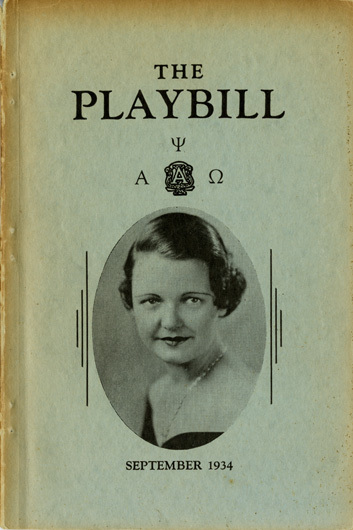 A large part of these materials come from fraternities and sororities, a typical staple of student life, and contain a number of photographs, scrapbooks, and negatives. However, when looking at other organizations represented in this collection as a whole, they might be considered anything but typical. Correspondence, brochures, pamphlets, and other publications may be found from the likes of the Sailing Club, the M&M’s (a group comprised of Mature and Married students), or even the Sunday Evening Club (where a group of individuals from the University community who would come together to consider “social and philosophical problems” and present “extremely informal” papers regarding “heartily interdisciplinary” topics). Materials have been acquired from a variety of sources and date back to the 1930s through the present. If you are interested in discovering another layer of the narrative that is the University of Houston’s history, be sure to give these Student Organization Records a look either via the detailed finding aid or by visiting us when you have the time. We look forward to assisting you with your research. This weekend The Art Guys go in pursuit of the great, white whale of Houston commuters. Continuing the year-long celebration of their 30th anniversary, an ambitious, 24-hour trek will go nowhere but everywhere, covering a wide expanse of our fair city. 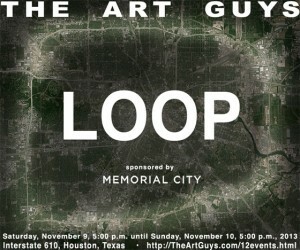 From 5pm Saturday, November 9th, to 5pm Sunday, November 10th, The Art Guys will drive the I-610 Loop. Echoing the patterns most recently laid out in “Intersection,” (Event #9 of the 12 Events) 12 hours will see an expectant convoy and crew headed in one direction around our beloved Loop and another 12 in the opposite direction. If you think 610 traffic is a little congested as is, just wait until this bad boy rolls down the West Loop, attracting an army of onlookers. The Art Guys have advised that they will use drivers to assist in this epic voyage and will make themselves available to any and all parties via Twitter and a telephone number specific for this event (832.712.6207). More information is available through their website and Facebook page. Interested in being there for the the grand send off or return? The journey is slated to begin and end at the I-610 North Loop West at North Shepherd at 5pm on both days. No doubt your weekend plans, at some hour or another, will find you on or around 610. While you’re navigating that cycle of snares, keep an eye out for The Art Guys. The University of Houston Special Collections is excited regarding the continued growth and development of the Carey C. Shuart Women’s Archive and Research Collection as we have recently published new finding aids for both the Harriett Joan Ehrlich Papers and the North American Taiwanese Women’s Association Records. Harriett Joan Ehrlich devoted 24 years of her life to the Equal Employment Opportunity Commission (EEOC), eventually becoming director of the Houston office and, later, San Francisco. Prior to her pioneering work at the EEOC, work that was both proactive and aggressive in seeking out unfair and unequal labor practices, she earned her stripes as a civil rights activist in her younger years. A tireless fighter to the end, she succumbed to her battle with leukemia in 2008 at the age of 72. 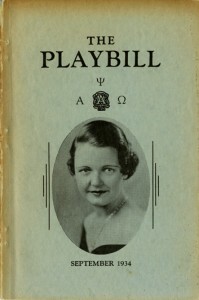 Harriett Joan Ehrlich’s Papers focus significantly on her time and work with the EEOC as well as correspondence and personal writings. 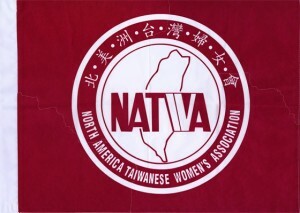 Under the guidance and counsel of Annette Lu, the North American Taiwanese Women’s Association (or NATWA) was established in 1988. 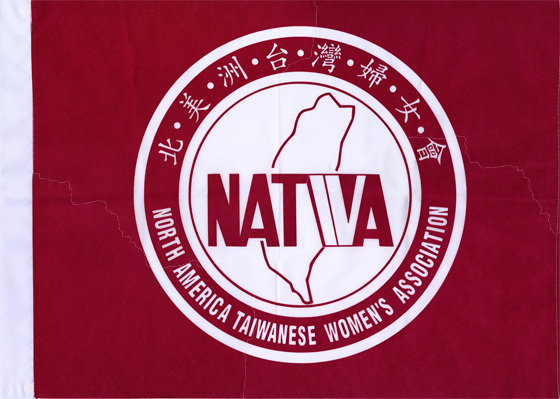 The Association was founded by Taiwanese women in the U.S. and Canada in part to establish a network of support for Taiwanese women living in the West, provide an independent organization to represent their interests, and preserve their cultural heritage. In 2000 NATWA became an overseas collaborating organization of the World Taiwanese Congress and continues to work both globally and locally on a number of projects, including the administration of programs like the NATWA Scholarship Program and the Caring for Soldiers initiative. The majority of the materials from the NATWA Records are in Taiwanese and highlights include photo albums and scrapbooks as well as official NATWA publications. We encourage you to visit Special Collections to view these materials in their entirety and remind you that the “Collective HER-story” exhibit continues to be on display, featuring artifacts from both of these collections. It makes for a perfect time to drop by the Special Collections Reading Room and also take in this wonderful exhibit of the far-reaching Carey C. Shuart Women’s Archive and Research Collection.